Automatically adjusts across carpets and hard floors. Latest barrel technology with powerful suction. Dyson Cinetic science captures the dust that clogs the bags and filters of other vacuum cleaners. The only vacuum with no maintenance and no loss of suction, no dirty filters to wash or replace and no bags to buy. Self-righting technology -gets back up when toppled. Ball technology steers easily around obstacles and follows without the awkward moves. Hygienically ejects the dirt. Muscle head floor tool self-adjusts across all floor types. Low profile for cleaning under furniture. 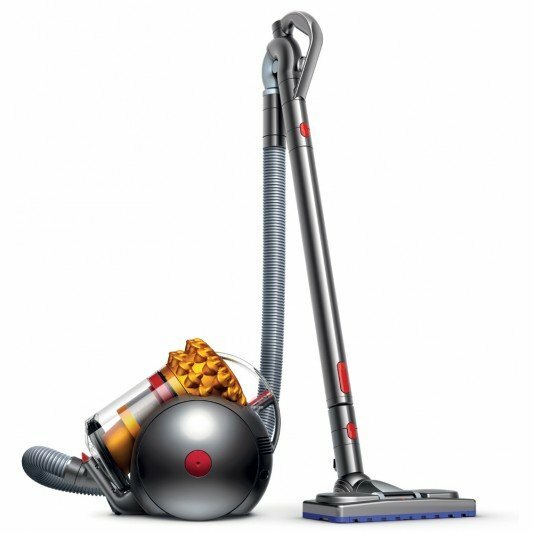 The Dyson 21489001 Big Ball Multifloor Vacuum was added to the Vacuums category in June 2016. The lowest price GetPrice has found for the Dyson 21489001 Big Ball Multifloor Vacuum in Australia is $499.00 from R.T.Edwards QLD. Other merchants who stock it are R.T.Edwards QLD, Appliance Central, think of us, Appliances Online.